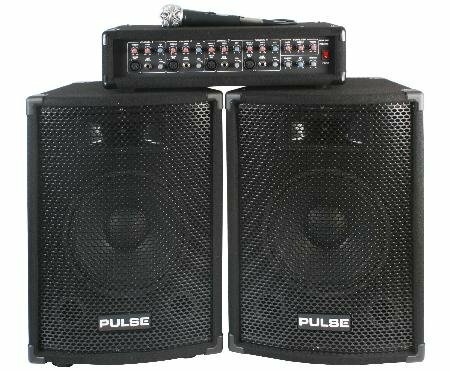 Complete 150W PA System PackageComplete PA system package consists of a four-input mixer amplifier, handheld microphone and a pair of 10" 2-way speakers. It is perfect for a variety of uses including presentations, parties, aerobics instruction, small stage venues and more. Easy, quick setup, combined with rugged carpeted enclosures with metal corner protectors and integral handles, make this the perfect portable system.